A working musician from the west of Ireland travelling with a guitar and a duffel bag from gig to gig. Tony has been playing music since the 90s when his grunge band Exploding Marmalade went into the Irish Top 30. 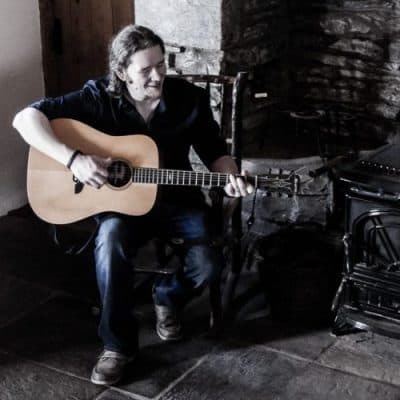 Since then Tony’s travels have taken him across the US, He has been a busker on the streets of Dublin and touring as an acoustic solo act in Europe. Tony’s forthcoming album “XXXX” was recorded live at The Animal Farm in London. It’s a powerful collection of raw and contemplative material that draws comparisons to Damien Rice, Eddie Vedder and John Martyn in a deeply introspective and uplifting lo-fi alt folk experience. Tony wields peerless soft power that offers sincerity, hope and worldly wisdom, proving that when you have it in you, you can blow it out.